Mike Lacey has been surfing around Cornwall for eleven years and for the last three years has dedicated much of his time to photographing the power and beauty of the Waves around the coastline here. Mike swims out with his camera in all conditions to show us all a world few get to see. No two waves are ever the same as the colours and light are always changing. 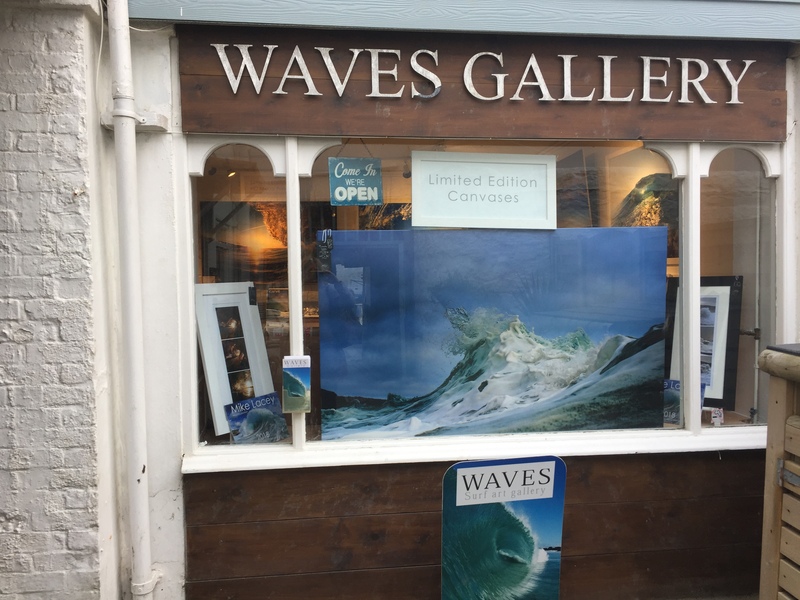 This means each wave he photographs makes for a unique piece of art whether it’s printed on board, canvas, metal or wood. Pop into the gallery just off the harbour (look for the seal sign) to see his extraordinary work for yourself.